Greg Cybulski, SWIFT CURRENT, SK (July 4, 2009) Kelly Miller of Stirling, Alberta celebrated his first ASCS CanWest victory in fine fashion as he edged out Sean Moran to win the 2009 ASCS CanWest Prairie Dirt Classic at Speedy Creek Raceway in Swift Current, Saskatchwan on Saturday night. A good crowd was on hand to witness an intense battle for the lead in the closing laps of the 25 lap feature. 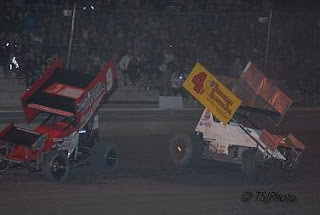 Starting on the poll position, the #44 of Miller enjoyed an early race lead while Moran's #6M Sprint Car quickly jumped from his 5th place starting position to 2nd on the first lap. Trouble followed as the #15 of Gord "The Bulldog" Kynoch and the #12 of Casey Adams tangled in turn 2, resulting in an early exist for both competitors. On the restart, Miller got the jump, but the chase was on as Moran was in the hunt for his 2nd straight Classic win. On lap 7, a yellow flag came out as the #39c of Dennis MacEachern slowed to a gradual stop on the front stretch and his evening was done. When action resumed, an intense battle for 2nd ensued between Jesse Dakus and Sean Moran, with Dakus taking the spot. That, however, was short-lived as Moran would eventually pass Dakus and set his sights on Kelly Miller. Another yellow flag, late in the race, would set up the showdown between Miller and Moran. The 6M blanketed the leader in the closing laps, but could not make the pass as Kelly Miller would take the checkered flag. Jesse Dakus would finish the feature in 3rd place, while Jessica Lavallee turned in a solid performance with a 4th place finish. 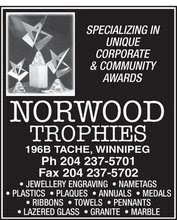 Rounding up the top 5 was Kelly Miller, Sean Moran, Jesse Dakus, Jessica Lavallee and Rick Tessemaker. In a special feature, Fountain Tire sponsored a $500 Dash for Cash shootout which was won by Sean Moran. 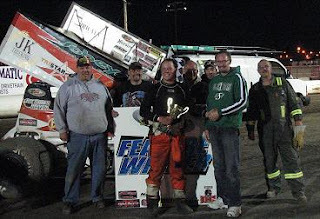 Greg Cybulski, WINNIPEG, MB (July 3, 2009) North Dakota racer Wade Nygaard made history at Winnipeg, Manitoba's Red River Co-op Speedway by winning the first American Sprint Car Series feature race at the 4/10ths mile dirt track oval. In what can only be described as the wildest and most awkward finish ever witnessed, the 9N of Nygaard went high on the final turn to edge out the 4J of Lee Grosz, who's sprint car bobbled in the turn and finished in second place, sliding backwards over the finish line. Fortunately for Grosz, no damage came to car or driver. Rounding up the top 5 was Wade Nygaard, Lee Grosz, Lou Kennedy Jr, Sean Moran and Dennis MacEachern. On this night, the hard luck award had to go out to Leduc, Alberta's Casey Adams. His #12 sprint car flipped violently into a catch fence on the backstretch during hot laps. Crews and team mates worked feverishly to get the car back together in time for Adam's heat race only to see the same fate befall the #12. Fortunately, the driver was not seriously injured in either incident. At the start of the feature race, the hardcharger of the night was Grand Forks, North Dakota champion Mark Dobmeier, who drove the Layton-owned K9. Dobmeier started in 9th position and quickly moved up to 5th before his night ended as the K9 slowed down to a stop on lap 6 of the 30 lap feature. Another large crowd of Sprint Car fans were on hand to witness an exciting night of open wheel racing at Red River Co-op Speedway. When the night's racing was done, the pits were loaded with many eager fans, young and old alike, visiting with the drivers and getting autographs.